Iron Deficiency Anemia is the most common type of anemia worldwide, occurring in both developing and developed countries and affecting as many as one fifth of the world population. Certain populations are at high risk for developing hypoferremia and iron deficiency anemia and include individuals living in poverty, women of childbearing age, and children. Iron deficiency in children are associated with numerous adverse health related manifestations, especially cognitive impairment, which may be irreversible. Teens with a history of iron deficiency as infants are likely to score lower on cognitive and motor tests, even if the iron deficiency was identified and treated in infancy. Children in developing countries often are affected by chronic parasite infestations that result in intestinal blood and iron loss that outpaces dietary intake. 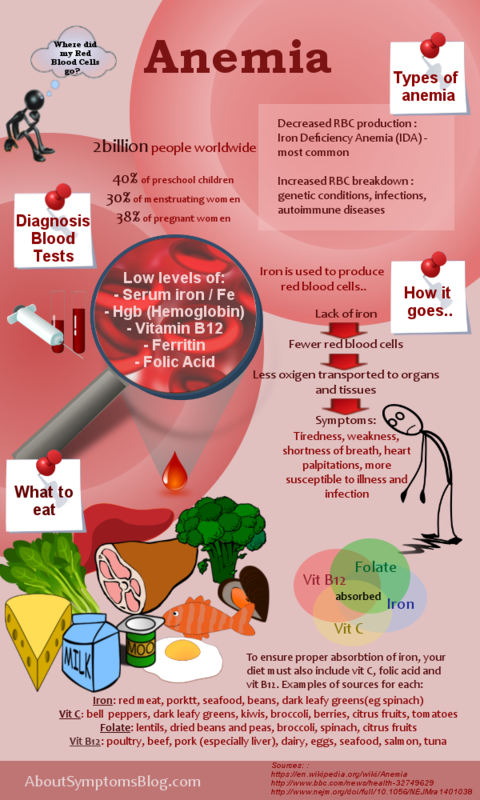 Iron Deficiency Anemia can arise from one of two different etiologies or a combination of both - inadequate dietary intake or excessive blood loss. In both instances there is no intrinsic dysfunction in iron metabolism, however, both deplete iron stores and reduce hemoglobin synthesis. A second category is a metabolic or functional iron deficiency in which various metabolic disorders lead to either insufficient iron delivery to bone marrow or impaired iron use within the marrow, Paradoxically, iron stores may be sufficient but delivery is inadequate to maintain heme synthesis, thus producing a functional or relative iron deficiency. The most common cause of iron deficiency anemia in developed countries is pregnancy and chronic blood loss. Blood loss of 2 to 4 ml/day or 1 to 2 mg of iron is sufficient to cause iron deficiency and may result from erosive esophagitis, gastric and duodenal ulcers, colon adenomas, or cancers. 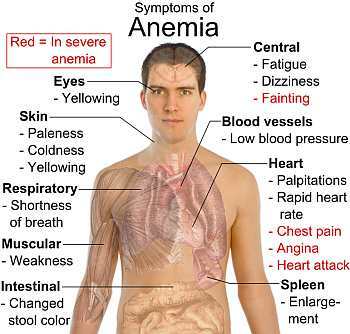 Symptoms of Iron deficiency anemia begin gradually, and individuals usually do not seek medical attention until hemoglobin levels have decreased to about 7 to 8 g/dl. Early symptoms are nonspecific and include fatigue, weakness, shortness of breath, and pale earlobes, palms, and conjunctivae. As the condition progresses and becomes more severe, structural and functional changes occur in epithelial tissue. The finger nails become brittle, thin, coarsely ridged, impaired capillary circulation. Iron deficiency anemia also is associated with unexplained burning mouth syndrome. Initial evaluation is based on clinical symptoms and decreased levels of hemoglobin and hematocrit. Additional measurements, however are needed to determine the cause of the anemia. The first step in treatment of iron deficiency anemia is to identify and eliminate sources of blood loss. If bleeding is involved, any replacement therapy is likely to be ineffective. Iron replacement therapy is required and very effective. Initial doses are 150 to 200 mg/day. Hematocrit levels should improve within 1 to 2 months of therapy; however, the serum ferritin level is a more precise measurement of improvement and total body stores of iron. Once the serum ferritin level reaches 50 mcg/L, adequate replacement of iron has occurred. A rapid decrease in fatigue, lethargy, and other associated symptoms is generally seen within the first month of therapy. Replacement therapy usually continues for 6 to 12 months after the bleeding has stopped but may continue for as long as 24 months. Menstruating females may need daily oral iron replacement therapy or 325mg/day until menopause.